1 microphone input, XLR, bal. or 6.3 mm jack, bal. Gain control: up to 50 dB max. 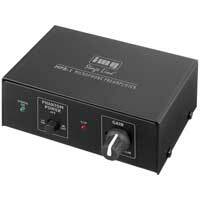 1-channel microphone preamplifier, with switchable phantom power.